Home > Gifts Under $35! 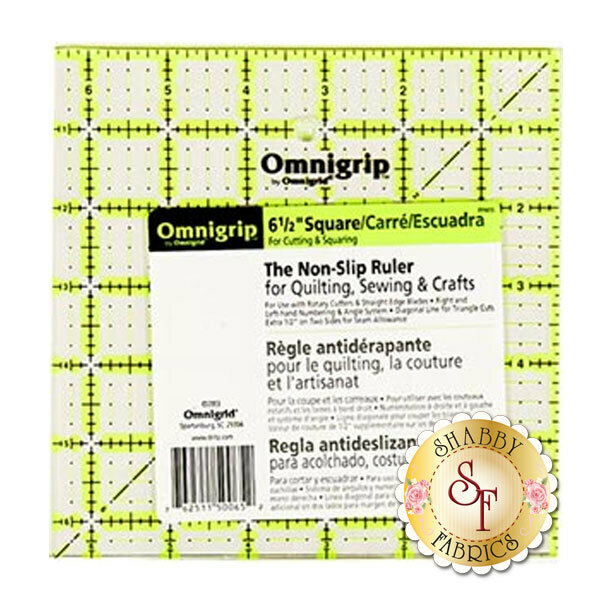 This non-slip ruler is used with rotary cutters and straight edge blades. It features right and left-hand numbering as well as an angle system. It also has a diagonal line that is perfect for triangle cuts! It comes with an extra 1/2" on two sides for seam allowance.